Key Concept: Understanding digits and place value. Description from the publisher: Zero is lonely in Digitaria. He can’t play Addemup with the other numbers, because he has nothing to add. What’s a digit to do? 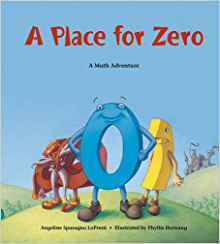 Join Zero as he goes on a journey to discover his place.